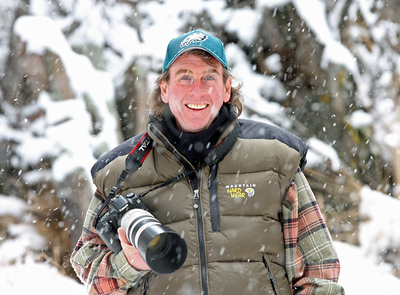 An avid outdoorsman and photographer, I have always loved the vivid landscapes, amazing mountain peaks,pristine streams,and colorful sunrises and sunsets. Colorado has a complex climate and as a result,every season brings an abundance of photographic opportunity ! Shooting seasonal landscape is absolutely breathtaking any time of year ! Springtime is the perfect time for capturing young wildlife,as they learn to grow up and discover the new world around them. Fall is a wonderful time of year for wildlife,when it's in full swing you never know what's going to happen or what you might see. All the beautiful scenery in our mountain states is a plus this time of year. In the winter,one of my favorite photographic interests are birds of prey. They are in constant motion,amazingly powerful and can be dramatic in flight. Photographing wolves and coyotes also offer great opportunity,they are always on the move.You can observe how they communicate,and try to guess their next move. Bear photography is challenging and can make you feel a little nervous at times. 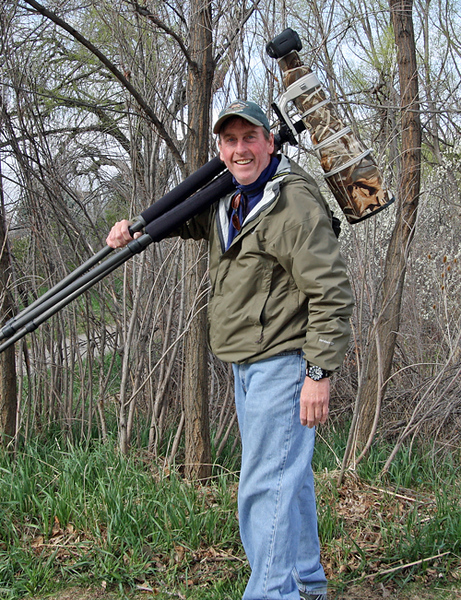 Most wildlife photographers like this excitement. A favorite for locals and tourist in Rocky Mountain National Park are the bugling Elk during the rut season. In the months of September-October are the best for watching and listening to Elk usher in the mating season.Watching the Bull Elk stake their claims and challenge for their females. Extremely passionate about Wildlife Nature Photography and being outdoors. I frequent State and National Parks as well as open spaces. My extensive Wildlife Photo Gallery is always growing. All images are captured in the wild in their natural habitat.